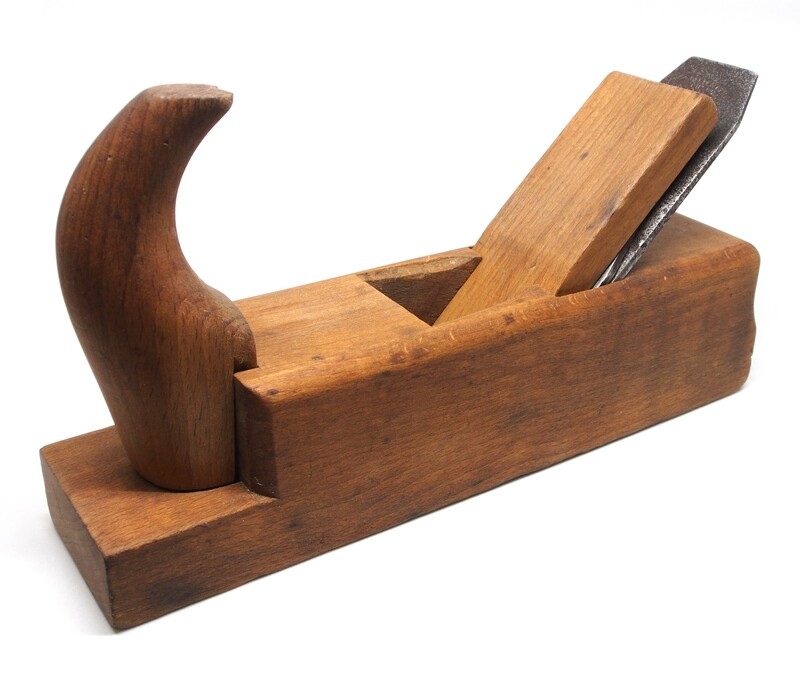 Late last year I had the fortune of purchasing a horned wooden smoothing plane from Swedish manufacturer E.A. Berg (Eskilstuna) on eBay. The plane is in exceptional condition. 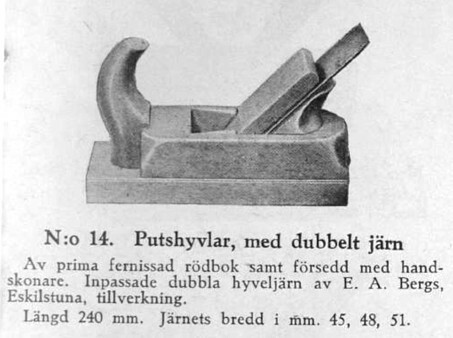 Looking in a circa 1940’s catalog, it seems that the plane fits the “Putshyvlar” category with a double blade. The plane is 240mm in length, with a width of 55mm, and a blade width of 45mm. Planes from E.A.Berg are interesting because the wooden bodies are usually made by a third-party European supplier (typically Danish, or German). The interesting thing about this plane it the fact that the horn in the front is detachable. Was it always meant to be? 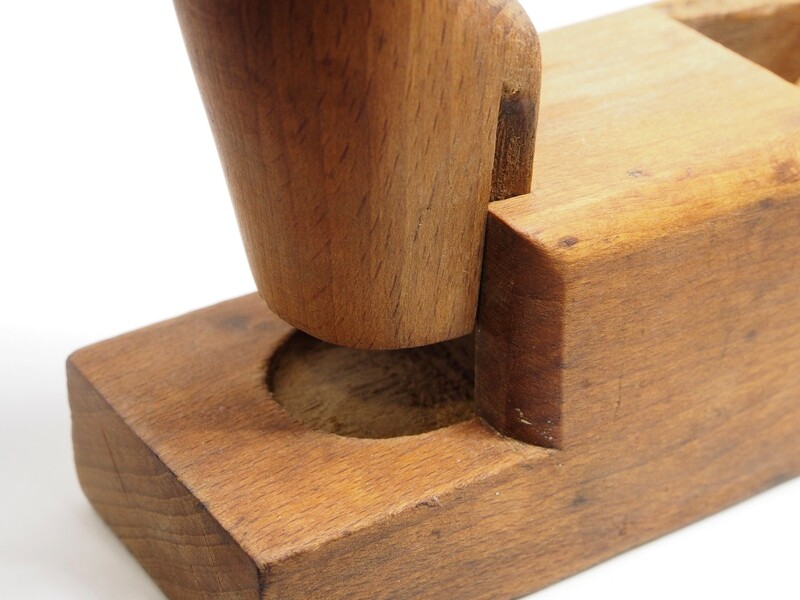 It attaches to the body using a dovetail type fit. 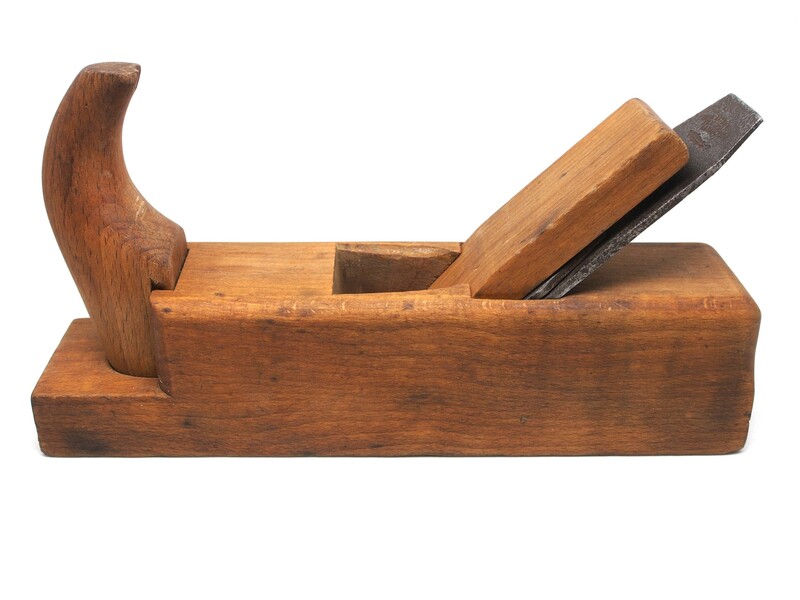 The plane is 9-5/8″ in length, and 2-3/16″ wide. The wood seems to be a fruitwood, incredibly grain-free, with a beautiful patina. The main iron is tapered, and is 1¾” wide. The blade is marked “Erik Anton Berg Eskilstuna Garanti“. 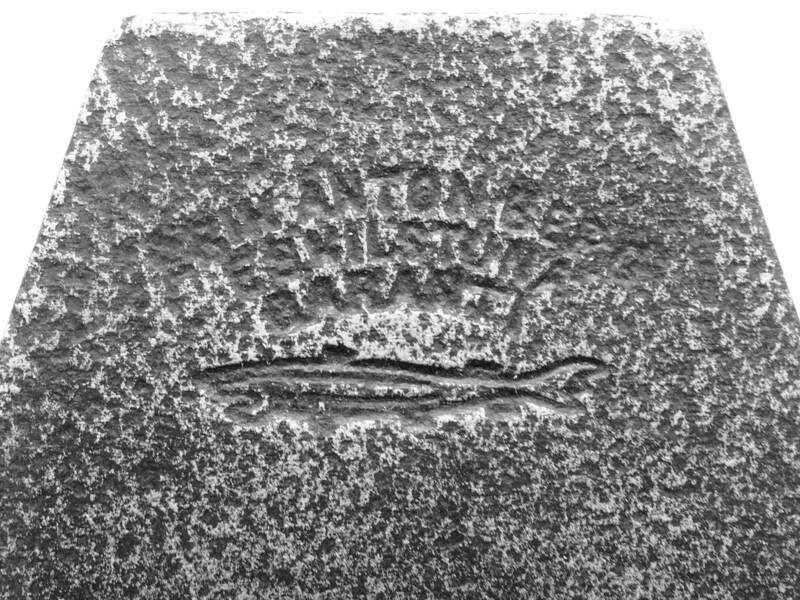 The trademark on the blade is a Wels catfish (Sirulus Glanis), which pre-dated the “shark logo”, and is recognizable by the dovetailed tail. For a full discussion of the catfish/shark logo, check out this exceptional article by Kim Malmberg. The chip breaker is much smaller than the iron. 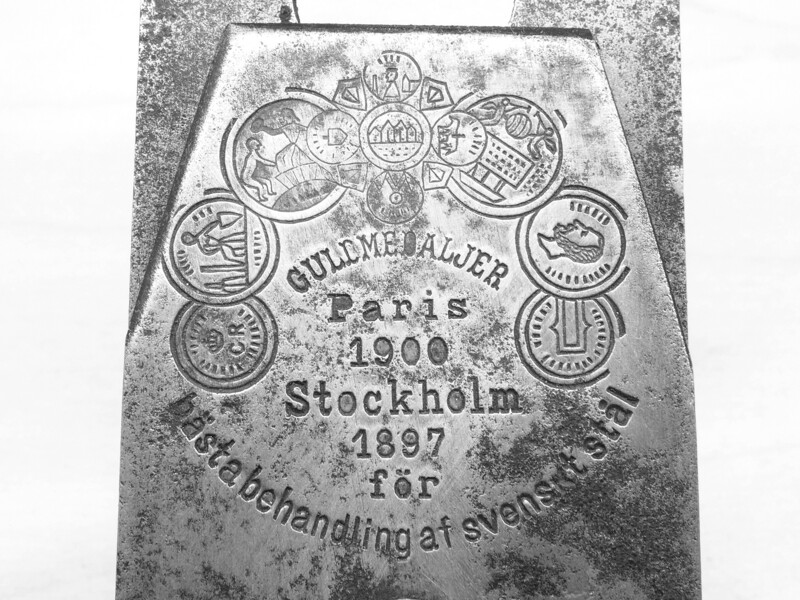 The chip breaker is stamped with an ornate trademark displaying images of the various gold medals (“Guldmedaljer”) won at the World Exhibition in Stockholm in 1897, and Paris in 1900. According to the years mentioned on the accompanying chipbreaker, this logotype variation could have been in use post 1900, but before the shark-like fish was added.. 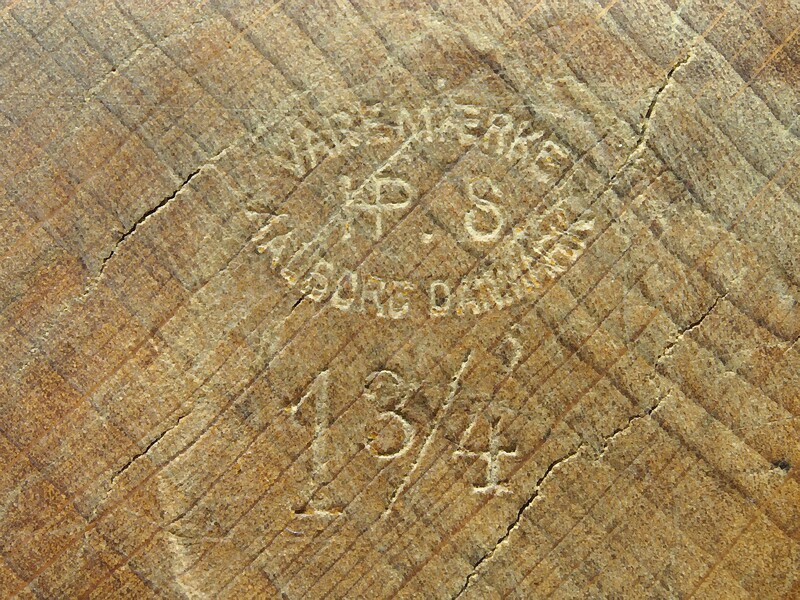 The stamp on the plane “VAREMÆRKE” means trademark. The wooden body is made by a maker with a unknown trademark from Aalborg, Denmark. All in all a nice plane. Interesting piece of history with the plane. Regarding that horn, the attachment is pretty standard for German planes but they would be glued. Maybe this one escaped the glue? Yes, looks like it was never glued… loathed to do it now. It will likely be a model for future plan building activities. I grew up with wooden planes in Germany,and the horn was not supposed to come off. Happens often though ,due to drying/ shrinkage. Yes, that’s what I imagined. No glue reside though… likely shrinkage over time.